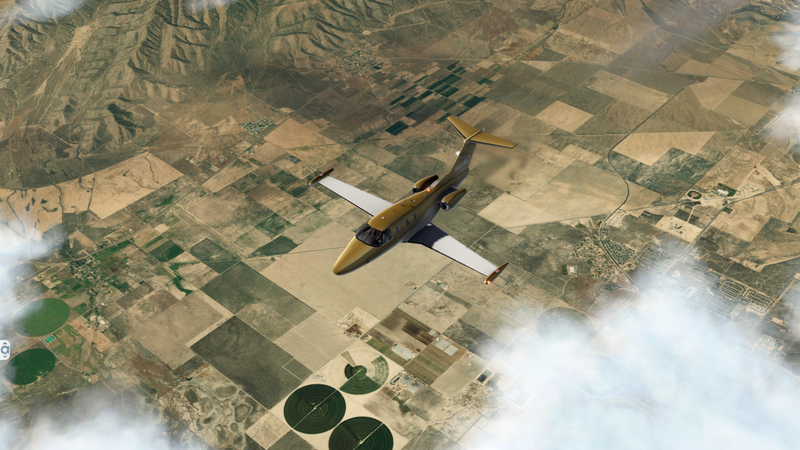 My new Ortho Scenery addition, so I can fly from Salt Lake, over the Grand Canyon for Phoenix. I have flown this route many times and I would argue it is one of the most beautiful routes in the world to enjoy either in the flight levels or in a turboprop or prop, like the Cardinal. very nice, someone on twitch was upto 11TB of scenery go figure. I thought for the longest time that those circles were just scenery fillers but when you look on sat maps they're the real thing. Yea I know what you mean, I just did one tile in P3D and it was something like 30+Gb with P3d you can't get overlays so I'm better off waiting for TrueEarth stuff.